For those who want to enhance their natural skin tone and cover up blemishes, CC cream is a makeup product that is effective in creating a flawless complexion that is natural. There are many different textures and tints of CC creams that are currently available on the market. If you are searching for the best CC cream for sensitive skin, you can review the top products listed below. 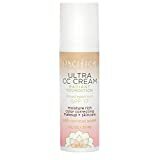 Those who are looking for the best CC cream for sensitive skin can take advantage of the Pacifica Warm/Light Ultra CC Cream Radiant Foundation, which offers SPF protection and is ideal for all skin types. It works to illuminate the skin and moisturize it, working as both a cosmetic and skincare product that is gentle for those who are prone to breakouts. Color-correcting minerals are one of the main ingredients in the formula to adapt to your skin tone and look even more natural once it’s applied. The Physicians Formula Super CC Color-Correction Plus Care SPF 30 All-Over Blur Cream is designed to instantly blur imperfections on the skin. It’s ideal for those with sensitive skin due to its natural ingredients as a product that is paraben-free. It doesn’t contain any fragrances or gluten and is hypoallergenic. It is also non-comedogenic. The CC cream made by Physicians Formula lasts for 12 hours without needing to be reapplied throughout the day. It’s an all-in-one product that offers many benefits, which includes spot correcting, moisturizing, perfecting, and anti-aging. It uses natural ingredients and doesn’t contain any parabens or gluten, and is also clinically tested, making it ideal for those with sensitive skin. The product also works well at brightening the skin and can reduce the appearance of sun spots or skin damage over time. Wrinkles also become less visible once the product is applied. 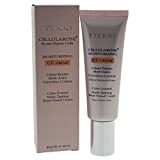 The By Terry Cellularose Moisturizing CC Cream is designed to not only cover up blemishes on the face but also improve the quality of the skin with frequent use. The cream is lightweight and has a powdery satin finish that adds a dewy and natural look. It’s ideal for all skin types and is the best cc cream for sensitive skin because it’s an antioxidant cream. The cc cream is not only ideal for proper coverage but is also moisturizing and hydrates the skin with its natural ingredients. The complexion is easy corrected with the application of the product, and it even looks luminous in different types of lighting. Clinique Moisture Surge CC Cream SPF 30 is created to improve the appearance of fine lines and wrinkles on the face and can be applied on all skin types. Skin-friendly and safe ingredients are used to avoid any irritation that can occur. The formula is lightweight and goes on smoothly once it’s applied. It’s designed to color correct different types of complexions and looks natural once it’s used on the skin. Not only does it go on smoothly, but it also prevents skin damage that can occur due to sun exposure with SPF 30 that it contains. It feels light on the skin and can be used alone or with additional cosmetic products. The product is also moisturizing and eliminates dry or flaky areas on the skin, creating a flawless complexion that looks airbrushed. Those who are looking for extra coverage can use the It Cosmetics Your Skin but Better CC+ Cream SPF 50+, which is highly pigmented and will erase every spot or scar that is present on those who are prone to sensitive skin. Although the cream is pigmented, the texture is light and won’t cause wrinkles or fine lines to appear prominent once the formula is applied. A small amount of the product offers a significant amount of coverage, which is ideal if you’re looking for the best cc cream for sensitive skin that won’t clog pores. The advanced, lightweight formula neutralizes and brightens skin for a more even complexion. It's also proven to fade dark spots, sun spots and post-acne marks instantly and over time. Primes, perfects, protects (with SPF 30! ), moisturizes and controls oil. Visibly fades existing dark spots, sun spots and post-acne marks. This CC cream made by Smashbox is effective in making the skin glow by brightening it and fading dark spots and acne scars that are present. It even includes SPF 30, which allows the skin to continue to be protected from UV rays when spending time outdoors, making it the best cc cream for sensitive skin. The cream is easy to apply and is ideal to wear outdoors when you don’t want to have a dramatic or heavy look. Some users have stated that the brand’s bb cream is more effective with the amount of coverage that is provided. The Olay Total Effects stands out because it combines anti-aging benefits when used with foundation to create a smooth and beautiful look on the skin. As a product that is tested by dermatologists, it won’t clog the pores due to its oil-free formula, making it the best cc cream for sensitive skin. The product is advertised as a beauty balm to not only nourish the skin but also allow it to stay moisturized. It can even reduce the appearance of fine lines and wrinkles due to its lightweight texture. The cream blends in with most skin types and is created to be worn alone or underneath foundation. Lightweight formula provides a flawless, natural look while caring for your skin. Skin care ingredients hydrate the skin, leaving it feeling moisturized. The COVERGIRL Queen CC Cream is designed to be lightweight to create a natural look that evens out the skin tone and covers up blemishes or skin damage on the face for those who have darker complexions. The ingredients that are included moisturize the skin after the product is applied, which prevents it from feeling heavy. The lightweight formula of the product prevents it from clogging pores and allows the skin to breathe throughout the day because it’s oil-free, which allows it to be used for those who are prone to rashes or breakouts. The cream offers medium coverage if it’s not used with additional makeup products. The color match is also accurate and natural. The Mary Kay CC Cream offers lightweight coverage, making it look natural without appearing to be caked onto the skin. The cream is moisturizing, which causes it to make the skin glow and appear dewy. It contains an SPF 15, making it offer protection from harmful UV rays and the best cc cream for sensitive skin. The product makes it easy to correct imperfections on the skin with a formula that is similar to makeup without causing the skin to appear unnatural. The minimal shades are designed to cover different types of skin tones, and it’s suitable for all skin types. Due to the variety of CC creams that are available, there are many different products to choose from when you need coverage and are looking for the best CC cream for sensitive skin. Your skin will not only be enhanced with the cosmetics but can stay moisturized in different types of climates and weather conditions.